Over the years the University of New Mexico (UNM) has used the Lawrence Ranch in various educational capacities. The Department of Art and Art History has been offering its Annual Summer Art Workshops there since 1981. These workshops provide a variety of topics on regional art and nature designed to enhance experimental approaches of study. An annual Taos Summer Writers' Conference, developed by Prof. Sharon Oard Warner, Director of Creative Writing, began in 1999 and features various genres of writing instruction. Two merit‑based scholarships (for poetry and fiction) are given in connection with it, and the D.H. Lawrence Fellowship has now been reinstated. Poet Robert Creeley is among those who held a past fellowship with summer residence at the ranch. 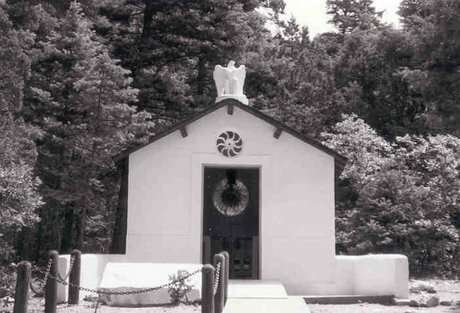 This fellowship, originally established in 1958 to "sustain a living tradition of artistic creation at the D.H. Lawrence Ranch" (UNM website) and to grant developing writers a month of scenic inspiration and solitude, was temporarily suspended in 1992 due to poor cabin conditions at nearby Kiowa Village and the lack of a dependable water supply. While conditions still make it unfeasible to house the fellowship recipient at the ranch, lodging will be provided in Taos. The English Department and Sigma Tau Delta (National English honor society) sometimes conduct one- and two‑day excursions to the ranch. Prof. Hugh Witemeyer of the English Department heads a committee of ranch supporters and has led both student groups and a UNM Regent's delegation to the ranch. Dr. Art Bachrach, professor (retired) and owner of a well‑known Taos bookshop, also conducts a tour of the ranch in connection with a summer enrichment course he teaches for Southern Methodist University's Taos branch. Currently, a survey of UNM department heads is being made to further incorporate the Lawrence Ranch into UNM curriculum, and the Taos Art Institute has expressed renewed interest in using it as a teaching center.